Fly-by of Tempel 1, just like in the movies! I like reading how much the New York Times does not like the Spiderman of Broadway. Reporters Farah and Braun later discovered that Irbis completed at least 1,000 flights to Iraq in 2003 and 2004. They write: “U.S. taxpayers donated as much as $60 million to the Viktor Bout organization.” At a time when President Bush was demanding that the US’s allies be “either with us or against us” in the war on terror, the Russian arms dealer was accomplishing a balancing act. He was both a hunted man and a subcontractor to a US defense contractor. Bout, in case you missed it, has since been arrested in Thailand and extradited to the United States to stand trial for terrorism. Its magazine-like size allows the reader to hold the newspaper close; the format invites the reader to engage more deeply. The publication is packed with information, yet extremely well organized, using elements of layering and editing to draw readers into every page. i walks the line between newspaper and magazine with perfect balance. Its format supports the kind of flexibility that lets it focus on hard news one day and features the next. The editions we saw featured a lead story about a great author one day, then strong reporting of the Haiti earthquake the next. We encountered stories told with a sense of urgency and newsiness, and others told with subtlety and humor. The paper delivers traditional newspaper content with new, engaging presentation. Huh. Maybe someone should try that stateside? Nah! After all, that takes some vision/chutzpah/freedom from 20% shareholder returns. And god forbid that a failing, increasingly irrelevant paper with nothing to lose -- I'm not talking about the LA Times; OK maybe I am -- might try to do something bold, in the vein of a Portugese upstart called i! But you know the old adage: if it is broke, I guess we can't fix it! And while you're lamenting the myopia of local rags, don't miss i's gallery of stunning covers. Biermann, Adolph (?–1880), curator of the Calcutta Botanical Garden, sur­vived attack by tiger while walking in garden but succumbed a year later, age unknown, to cholera. Brown, Kirsty M. (1974-2003), marine biologist with the British Antarctic Survey, drowned, age 29, when attacked while snorkeling and dragged 200 feet underwater by a leopard seal. Macklot, Heinrich (1799–1832), naturalist, was so enraged when insurgents burned down his house, with all of his collections, that he organized a revenge attack and was speared to death, age 33, in Java. Nevermann. William Heinrich (1881-1938), entomologist, killed, age 57, while hunting ants by lantern with a colleague at night in Costa Rica. He was shot by a neighbor who thought the lights of the two lanterns were the eyes of a puma. Ruspoli, Prince Eugenio (1866-1893), Italian explorer, gave his name to one of world’s most beautiful and rare birds, the Ethiopian endemic Prince Ruspoli’s Turaco, whose first specimen was found in the prince’s hunting bag after he was trampled to death, age 27, by an angry elephant. By my pal Stephen Sherrill for GQ: Bush's Book Proposal. Read it and snort. Favorite line, out of context: "Are you saying I have some Pirate's Booty on me?" Weird, yes? The cartridge was discovered at a yard sale -- the electronic version of finding an original copy of the constitution behind a painting of dogs playing poker. Which makes the game's provenance suspect, in some people's book. Either way: arch art project or oddly conceived game, it's still intriguing to play, as the side scroller has established itself as an unlikely mode of re-hashing of classics from other media. Several of the documents focus on ChamberWatch, a union-backed organization that criticizes the business lobby and many of its members. The documents include personal details about activists who work for the group and suggestions for targeting its reputation, including planting fake documents, tying the organization to radical activists or creating "fake insider personas" on social media. The name for this program? Team Themis. I guess conspiratorial operators are required to pick enigmatic, sinister-sounding names for themselves? Maybe it helps morale while working in the shadows. Want to hop on this dog's back and ride into the clouds in search of the Never Ending Story? Me too! Bernard Rollin, a bioethicist and professor of philosophy at Colorado State University, doesn't believe that creating a Neanderthal clone would be an ethical problem in and of itself. The problem lies in how that individual would be treated by others. "I don't think it is fair to put people...into a circumstance where they are going to be mocked and possibly feared," he says, "and this is equally important, it's not going to have a peer group. Given that humans are at some level social beings, it would be grossly unfair." The sentiment was echoed by Stringer, "You would be bringing this Neanderthal back into a world it did not belong to....It doesn't have its home environment anymore." Not satisfied with the police sketch of you? P.s. This jovial-looking-apparently-foul-mouthed criminal broke into the wrong house. In Juba the day was met with jubilation. “This is what people have been expecting, and longed for, and have achieved it,” said Aleu Garang Aleu, a spokesman for the southern referendum bureau. “People will party. There will be disco. There will be dances. People are warming up for the celebration now. Who doesn't wanna dance with somebody? "How are we not hypnotized?" You want the moon, Mary? Glowing red even! Spooky. Lovely. No wonder the beguiling Selene makes people do crazy things. A photographic series by Alex Soth. I liked Inception. A lot. Except for the G.I. 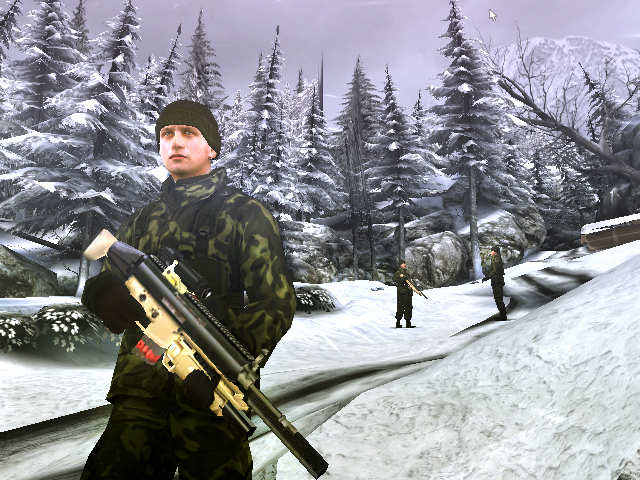 Joe/Her Majesty's Secret Service/Golden Eye (the game) snow level. And I could have done with less gun play in general. And why didn't Ariadne just change the walls of the snow fortress so they could get the combination? Or make a hill rise from the snow to block the bad guys on their snowmobiles? And by the way, weren't they supposed to spend like three weeks or something at the snow fortress if you follow the math they laid out earlier? That's a lot of time to get into the safe. What were they supposed to do the rest of the time? Indeed: I hated The Matrix. Inception was sort of like The Matrix, but good. A real movie, that is, with some real, non-sci-fi themes. I really appreciated some of the broad ideas that emerged from Inception: the frailty of memory; how falling in love feels like it lasts forever; how Leonardo's interior version of his dead wife became his antagonist because he could only remember her through his own guilt; how the gnostic vision of reality as an illusion can be lethal. Many more pictures here, at one of my favorites: Dark Roasted Blend. Movies I don't remember. Although the entry for Critters 2 can't help but amuse, and includes the compelling marketing factoid that when the movie came out there was a number you could call and listen to scenes from it on the phone! Many more such landscapes here. And by the way: Who needs artists when you have Google Earth/Street View? The[se] planets have such low masses that the outer density of each is sort of like a marshmallow, while their cores are "probably like hard candy," he said. Don't let the Hansel8200 and Greteltron ships near those quadrants!